You've just straightened the sofa pillows, picked up the stray books and papers, and the room looks pretty good...except for that CRATE! Your dog loves it. It's his hide-away day or night, and is his safe haven when you're away for a few hours. And there it sits in the middle of everything. It's big enough to be another piece of furniture, so wouldn't it be nice if it actually looked more like furniture and worked like furniture? That's exactly what you'll find at Dog Lover's Lane. 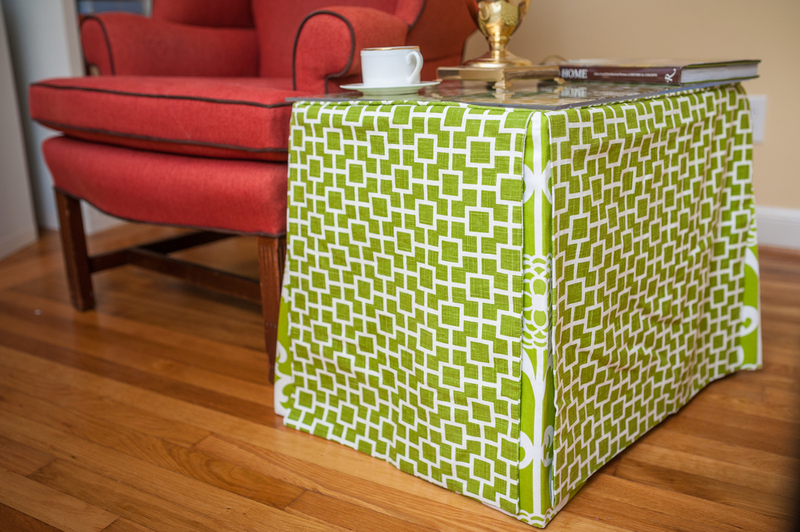 A beautifully "dressed" crate for your dog, blends with your decor, doubles as a table top, and still serves it's intended purpose. Marchten Interiors is pleased to offer this beautifully designed product fabricated with all the attention to detail found in fine furnishings. 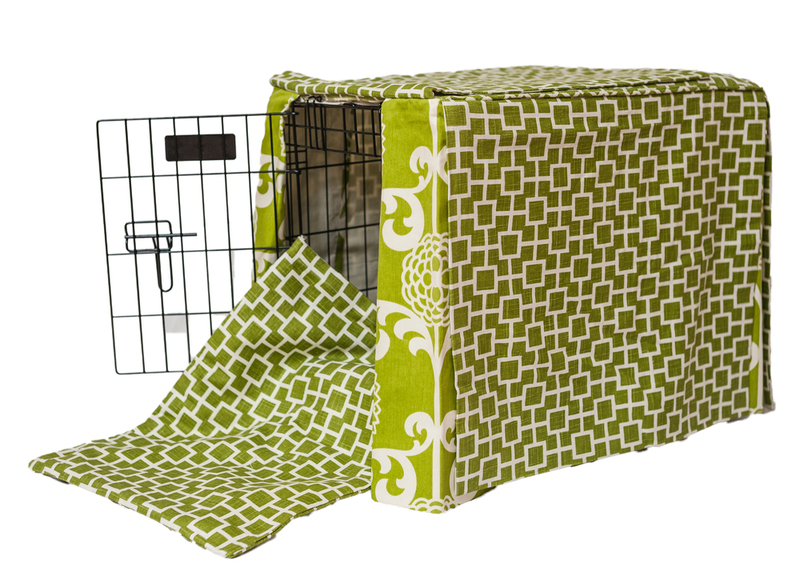 Each crate is fully lined with contrasting trim and fabrics and optional pillows.